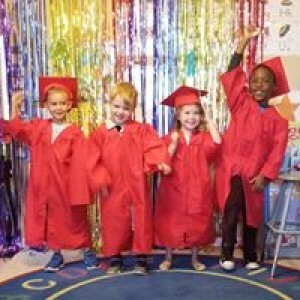 The mission of Appleseed Learning Center is to provide a quality early childhood experience that promotes kindergarten readiness. Our focus is to create a safe, nurturing, developmentally appropriate environment that fosters individual needs. We strive to create lessons to develop early academic skills, as well as experiences to enrich each child’s social, emotional, physical, cognitive, and creative abilities. We view education as a partnership between parents and teachers based on open communication and mutual respect. Parental involvement is welcomed and encouraged. Hi, my name is Marcie, happily married mother of 3 daughters. I’ve started a preschool in my home. I have been an elementary school teacher for 12 years. This career change has allowed me to apply my love and passion for teaching while staying home with my new baby. I provide scheduled daily activities from a preschool curriculum, nutritious meals, trusting care and a loving environment for your child at an affordable price. I have Teacher Certification, a Master’s Degree in Education, Fingerprint Clearance Card, and CPR and First Aid Certification.